Centrifugal Pumps - How Do They Work? World leading pump brands and products providing quality pump solutions. Pump service and repair capabilities including on site, in house, emergency and preventative. Engineering, design, supply and installation of complete pump system packages. 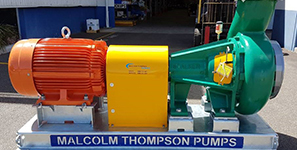 Malcolm Thompson Pumps is one of Australia’s leading pump companies and have been providing pump solutions to end users, resellers, consultants and OEMs for more than 50 years. We service a wide range of industries including mining, utilities, municipal, industrial and agriculture. We are your single point of contact for all your pumping needs. We’re on hand to provide you with competitively priced pump products, engineered custom pump systems through to service and repairs of your pumping equipment. What’s happening at Malcolm Thompson Pumps? Tailoring a custom pump unit within customer’s budget and timeframe. 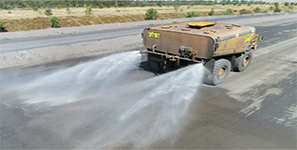 Boosting water cart efficiency for a Queensland pumping and water treatment organisation. Have you hit trouble with your pump under-performing or failing to work at all? With over 50 years’ experience and a complete range of pump products and services, we’re confident we can assist you with all your pump requirements. 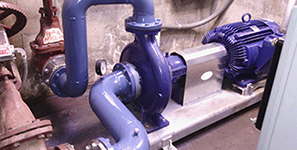 Contact us to learn more about how we can help you with your pump needs. Please fill following form to subscribe our newsletter!